Looking for a property in Palava? Have a property in Palava? Have a good knowledge of Palava? Share it and become a Locality expert. 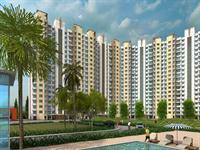 2Bhk Optima Ready to occupy flats for sale at Dombilvi .